Consumers are complex. If they purchased items on the basis of select criteria, it would be straightforward to convince them to purchase our services and products. Large marketing budgets and elaborate advertising campaigns would be unnecessary. Regrettably, many factors and stimuli influence purchasing behaviour. One large contributor to purchasing behaviour is the unique personality of the consumer. When personality is studied, we examine the psychological factors that contribute to consistent behaviour in the manner in which the consumer responds to their environment. We normally reference personality characteristics in terms of sociability, self-confidence, autonomy, dominance, defensiveness, aggressiveness, and adaptability. Personality is crucial, since it gives us the ability to create a customer profile. It provides us with an understanding of who are customers are and why they make purchases. This customer profile will provide you with a better understanding of how your messaging can be crafted so that it resonates with your target audience. In addition to consumers, brands also have personalities. The personality of a brand is the human traits that may be attributed to it. To form a better association between consumers and a brand, we attempt to give our brand personality characteristics that consumers can relate to. These personality traits are used to tailor the way our brand is perceived and the messages that it generates in order to attract our target audience. A lot of marketers utilise a personality trait knows as self-concept. The basic assumption with self-concept is that the possessions of consumers are a direct reflection of their identities. Therefore, marketers attempt to gain an understanding of their target audience by examining the items they have already purchased. The way someone decides what they will purchase is influenced by the way they perceive the situation they’re in during the time in which they are making their purchasing decision. Perception is the way in which people select, interpret, and organise environmental stimuli and information to form a view of the world surrounding them. Advertising is one very prevalent type of environmental stimulus. Most people have exposure to 3 to 5 thousand ads daily. It’s not possible for a consumer to pay active attention to all of those ads. Of course, there are many additional environmental stimuli all around them. The result is that the human mind controls which stimuli it will pay attention to. This is the process that generates perception. Perceptions are generate via a process of selective attention, distortion, and retention. Selective Attention – is the process whereby people disregard the majority of the stimuli they have exposure to. Consequently, we must do a lot of work to gain the attention of a consumer. Selective Distortion – Every person filters stimuli through their own “lens”. Selective distortion refers to the way humans interpret information in a manner that is supportive of their own beliefs, or what they would like to believe. Selective Retention – Most people forget the majority of the stimuli they are exposed to. Most of them will remember the information that supports their pre-existing beliefs and attitudes. Selective retention gives them the ability to remember things they favour and forget about negative information that doesn’t coincide with their pre-existing viewpoints. These psychological process are the reasons marketers have to engage in a lot of repetition within their marketing campaigns. There is a battle to gain the attention of the consumer, to find a way in, and finally to convince them that our specific message is the one that they should notice. 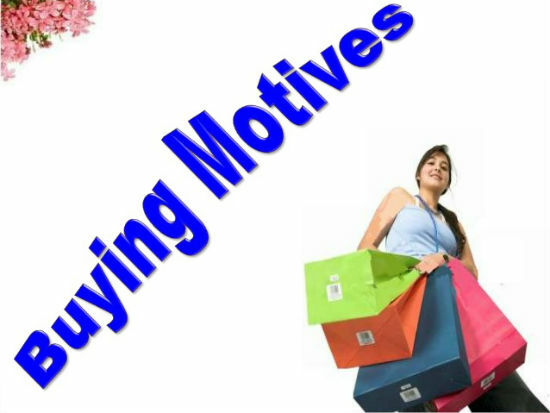 A motive is a pressing needs that directs a consumer to seek its satisfaction. At a specific point in their life a consumer may have numerous needs. People are continually influenced by different psychological and physiological motivations. Physiological needs may be attributed to things like thirst, hunger, or physical discomfort. Psychological needs are related to desires for esteem, social recognition, and belonging. If a motivation becomes very strong, it turns into a need. There is a hierarchy of needs within most people. Not surprisingly physical needs have to be satisfied first, next comes satisfaction, followed by social needs, and lastly self-actualization. The underlying principle is that consumers will seek to satisfy their needs that are most pressing first. After a need is satisfied, it ceases to be a motivator, and the person will try to satisfy the next most pressing motivator in their needs hierarchy. Marketers must keep in mind that consumers who are motivated are ready to make a purchase, and make use of that information. When people are engaged in an activity, they’re learning. Most theorists say the majority of human behaviour is behaviour that is learned. Buying behaviour in consumers is partially learned. Buyer behaviour is learned by consumers via responses, cues, drives, and reinforcement. Every one of these builds on the others. Drives are internal stimuli within the mind of a consumer that results in a call for action. A call-for-action will result in a motive, if it is strong enough. This will cause a consumer to gravitate to a stimuli. That stimuli will be something that satisfies their need. Drives will result in cues. Cues are types of stimuli that condition the behaviour of a consumer. Cues serve to assist a consumer in deciding where, when, and how they will respond to drives. Responses are the actions consumers take based upon their drives, motivations, and cues that result from stimuli in their environment. Responses result in reinforcement, which has an influence upon the future buying behaviour of a consumer. If the purchasing experience and their experience with a product or service is positive, there will be positive reinforcement to consider purchasing the same service or product sometime in the future. Of course a negative experience will have the opposite effect. Over time people build attitudes and beliefs that have an influence upon their purchasing behaviour. Beliefs are a consumer’s descriptive thoughts pertaining to something, while their attitudes are fairly consistent feelings, and evaluations in regards to an idea or object. A consumer’s attitude places him or her into a particular frame of mind and tend to make them gravitate away from or toward particular brands and products. Regrettably, it is very difficult to alter attitudes. Attitudes have become part of the learned pattern of behaviour for consumers. In order to change the beliefs and attitudes of a consumer you would have to change a number of other attitudes and perceptions in additional areas of the mind of a consumer. It is normally much easier to position products within a pre-existing consumer attitude rather than trying to alter them. Marketers must have an understanding of these attitudes and beliefs so that their messaging can be best positioned for their target audience. If there is a perception that the attitudes and beliefs regarding your brand are incorrect, and reducing sales, you will comprehend how to engage in targeted messaging campaigns that will alter their beliefs regarding your brand. Consumers are complex. There are numerous facets to their personalities all of which are involved in their buying decisions. Therefore, it is the responsibility of marketers to learn as much as they can regarding their target audience. If you don’t have an understanding of the psychological factors that influence consumer behaviour, your marketing messages will not be focused and you will waste a good portion of your marketing budget. Therefore, it is necessary for marketers to engage in consumer research prior to beginning an advertising campaign.